Choose to dine in our fountain and rose petal patio courtyards or nestle in one of our intimate salons. 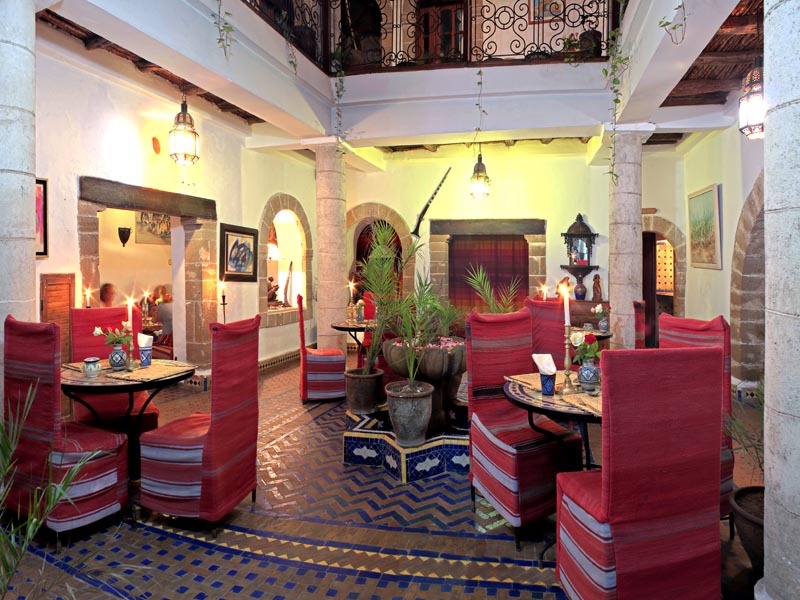 Evening dining offers Moroccan regional specialities including freshly grilled fish. We can also prepare to order if you have any specific requests. 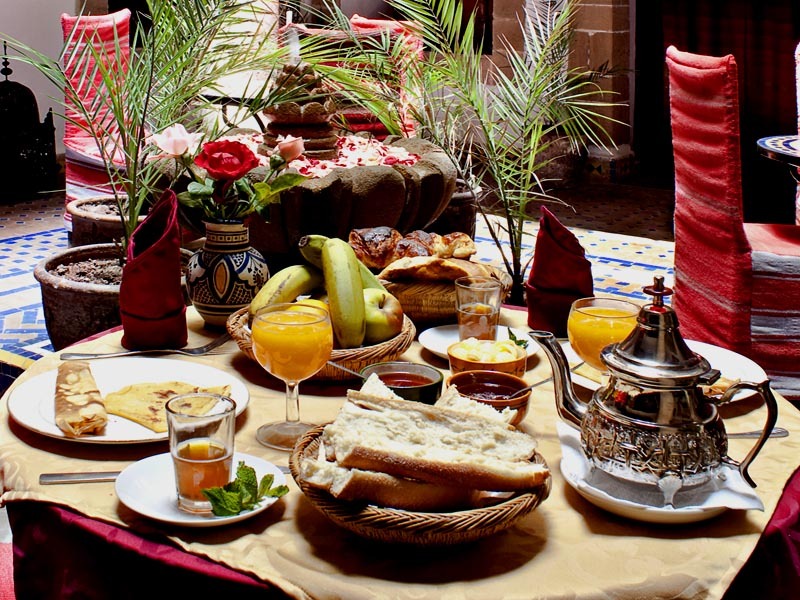 For breakfast we serve crepes, breads with honey and homemade jams accompanied by freshly-squeezed orange juice either on the terrace or in one of the salons or patios.